This is gonna be amazing! Hopefully it will be out soon! I can't wait! this is amazing! And Ducky Momo steals the claim, yet again. I was online when Tony posted it to the Shoutbox and it is a topic, does it really matter? I can not wait to buy it! I'm looking forward to new ingredients. I like how they redesigned the restaurant and added extra buildings. This will be something I look forward to. Now, you can say the old pale in comparison to the new. And in all fairness, compared to the previous Gamerias, it was a lot of detail. But as time passed, the gameria’s outside shots have become more and more detailed, leaving the original Tacodale looking a little lackluster. 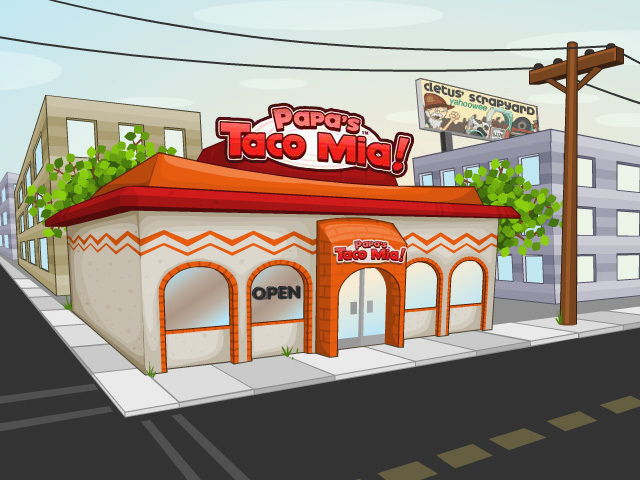 So when we decided to make Papa’s Taco Mia HD, the first thing we wanted to do was update the old Tacodale scene. 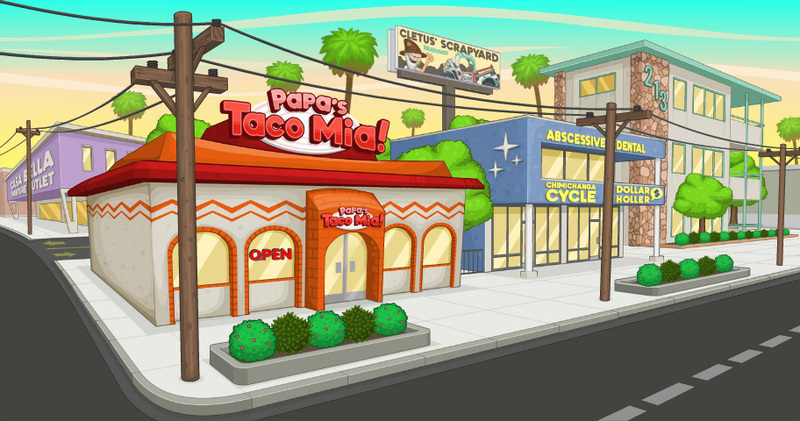 So feast your eyes on the new and improved… TACODALE!!! Click on the image to see it in widescreen!